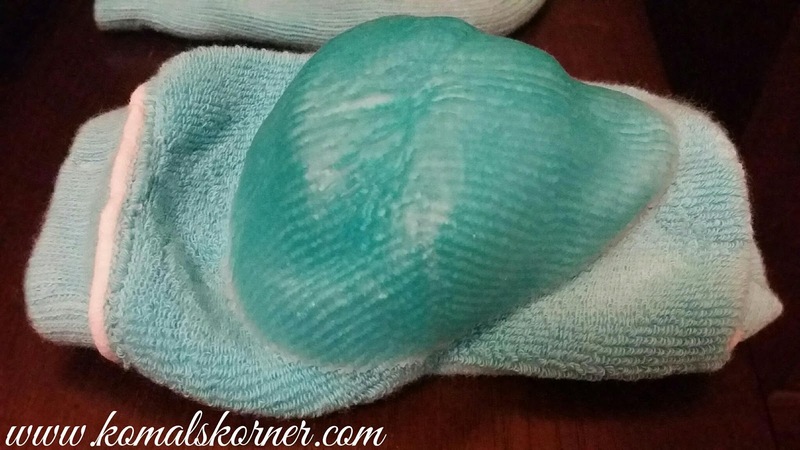 Sometime last year I received a pair of heel softening socks as a part of my glambox. I was obviously intrigued and happily tried them on.. The result? Nothing actually, which was rather disappointing. So when I came across Pedix Feet from Alessandro International recently I had my reservations. I mean, how can a sock magically give you softer heels right? Well wrong, because these ones actually do! It's not magic, rather a gel fitted into the heel of the sock. You simply wear and keep them on for at least 30 mins (but since they are so cosy, I've kept them on for even an hour) and voila! So while you go about your thing, the gel which has vitamin E and jojoba oil, nourishes your feet, and really gets under the skin and deeply moisturising it. The result? Skin that is soft to the touch. I've used it about seven times now and the gel is still intact. They are the perfect replacement for a last minute pedicure and for keeping your feet soft overall. The socks which are good for up to 40 applications and need to be hand washed are available at Enigma Beauty group. Price approx AED 160 for a pair. For more beauty review visit.